Leading international fisheries group Norebo has unveiled new identities for two of its sub-brands, with design by multi-disciplinary studio Carter Wong. Working in collaboration with a team of handpicked creative specialists, Carter Wong has delivered an end-to-end project, encompassing initial strategy and naming, fresh branding and a new look and feel for the Atlantika and Ocean Trawlers brands. 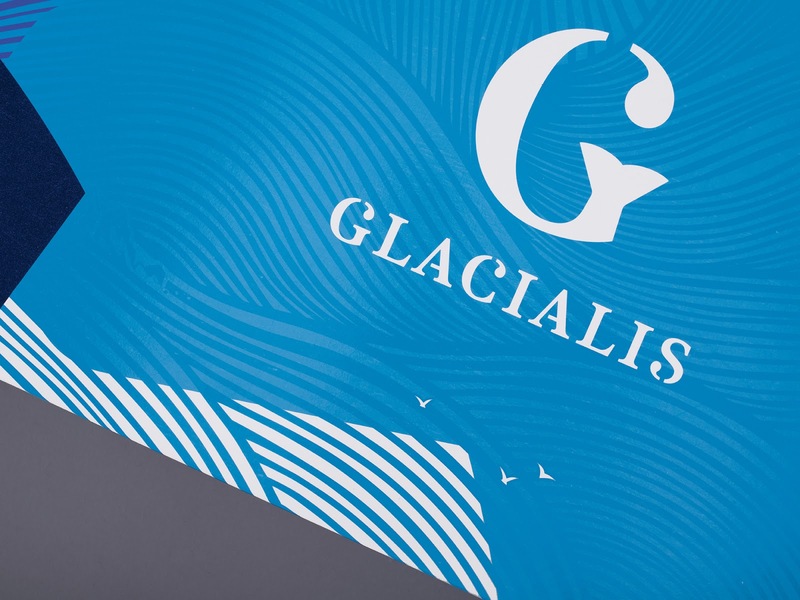 Following the evolution of operations within Atlantika, Carter Wong introduced a new brand name and identity as Glacialis. The new brand now reflects the fact that harvesting extends into fishing grounds in both the North Atlantic and North Pacific oceans. 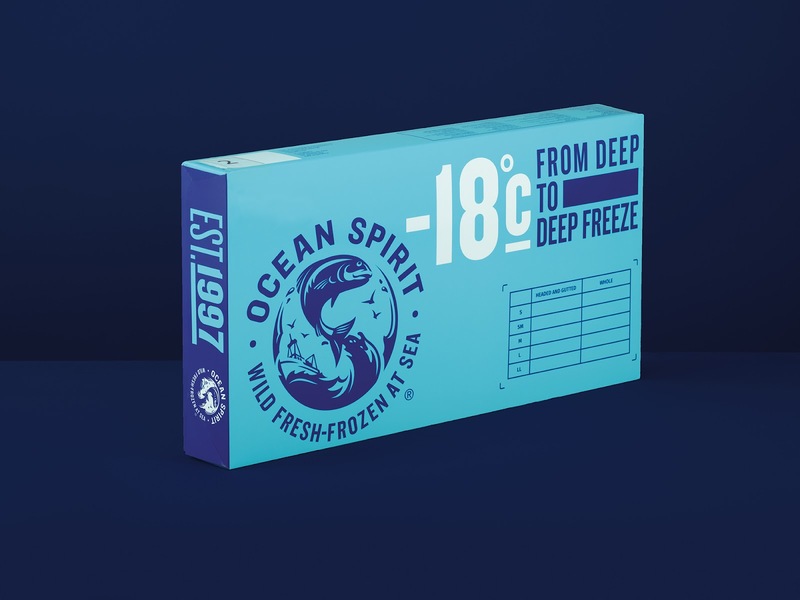 Providing premium, sustainable wild-fresh frozen at sea fish fillets to chefs, restaurants and fish & chip shops, Glacialis engages directly with the end customers. To ensure that this new identity captured the quality of the product and not only the harvesting process, Carter Wong worked with typographer Robin Clarke to help craft the main brand mark. The Ocean Trawlers brand, which provides whole frozen fish and industrial blocks for industries and distributors, has been superseded by Ocean Spirit. It communicates a now broader offer, which for example now includes line-caught fish. 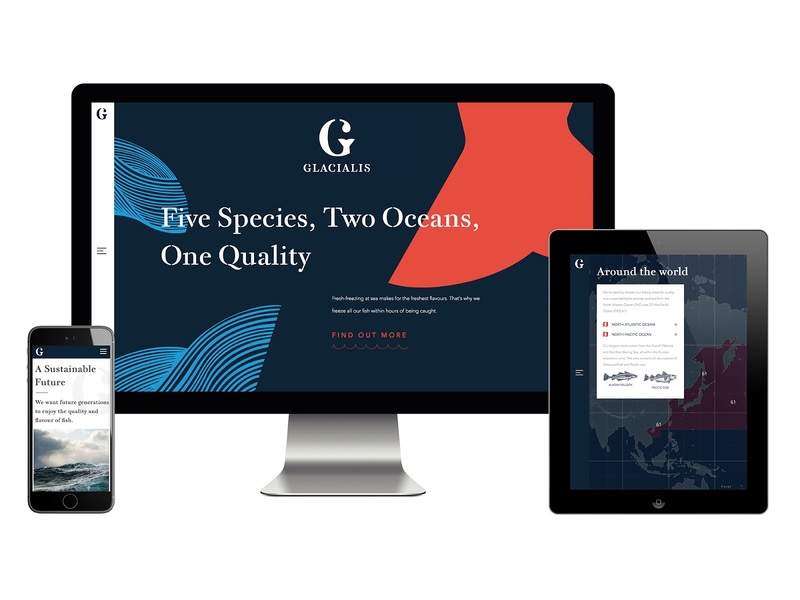 The new Ocean Spirit branding underlines the scale of the business, with the design of the logo suggestive of a globe and the colossal seas illustrated by Chris Mitchell. Sarah Turner, Managing Director, Carter Wong, says: “We’ve been working with Norebo for the past seven years and the company has always been open to doing things differently. They are one of the most forward-looking brands in fisheries in terms of technology and sustainability, and it wanted to modernise the branding of its harvesting operations to reflect its positive outlook for the industry. 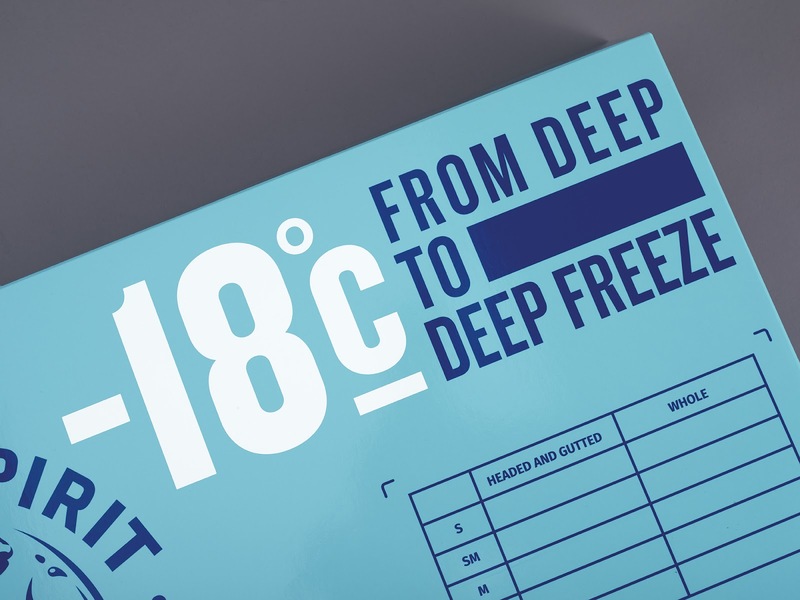 Carter Wong carried out the entire rebrand and accompanying messaging for both Atlantika and Ocean Trawlers across physical and digital channels, designing all branded elements - covering strategy, naming, messaging, logo, as well as the physical packaging, stationery, websites and video content. 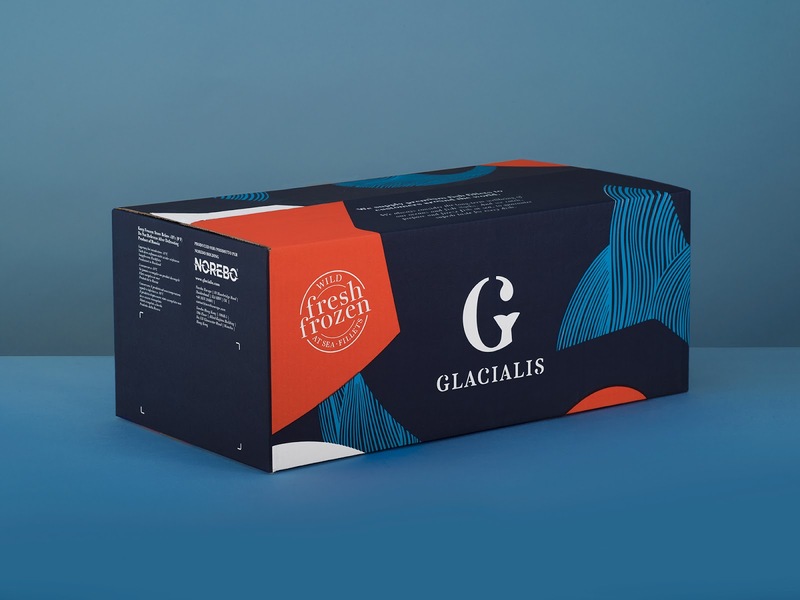 The Glacialis brand is supported by additional illustrations by James Lewis and enhanced use of food photography, resulting in an authentic visual identity that captures the freshness and quality of the fish. 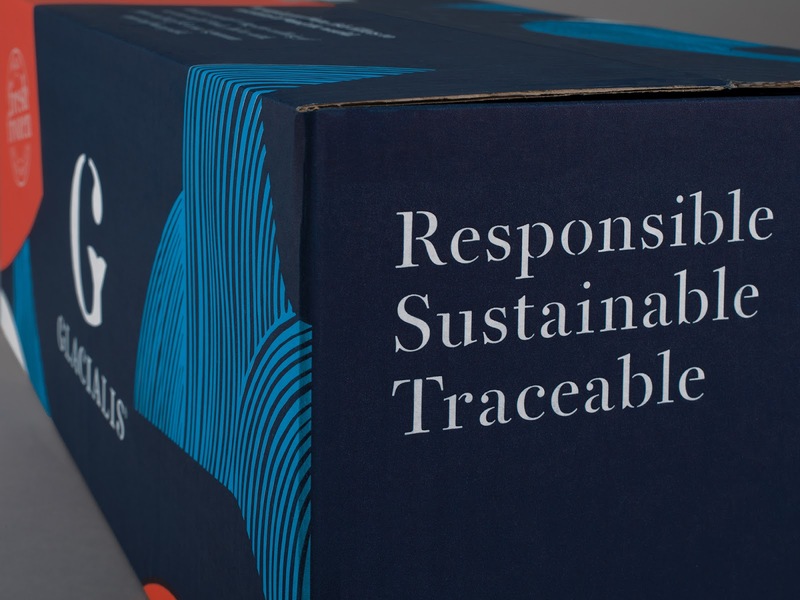 Online collateral also now focuses on the product and delves into more detail of the brand’s continued drive to cultivate sustainable fisheries. Carter Wong maintained the packaging’s premium, bold and colourful design to make it stand out from competitors. For Ocean Spirit, the new name, logo and brand language now evoke the wild and epic nature of the seas, with dramatic use of photography by Corey Arnold. 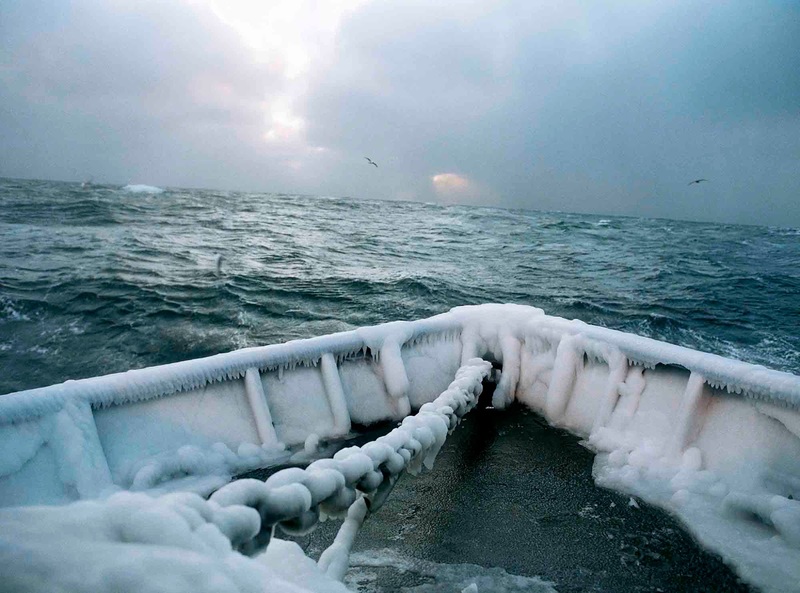 However, the romance of the oceans is grounded through visual call-backs to the fisheries industry itself, with the adapted typeface conjuring up connotations of the typography on the ships themselves.